Some €60 million in investments have been committed up until 2020 by the ‘Syndicat Mixte’ for further upgrading of the Port. The 2015 to 2020 Multi-Annual Investment Programme adopted by the Comité Syndical on 22 January 2015 paves the way for new development prospects and becomes a Blue Growth driver for the Channel Port of Dieppe and the Normandy Region. The ‘Syndicat Mixte’ secures a balanced development of all maritime activities. •	A preferred Port on the Channel coast - for the quality of its public amenities and ship repairing businesses. 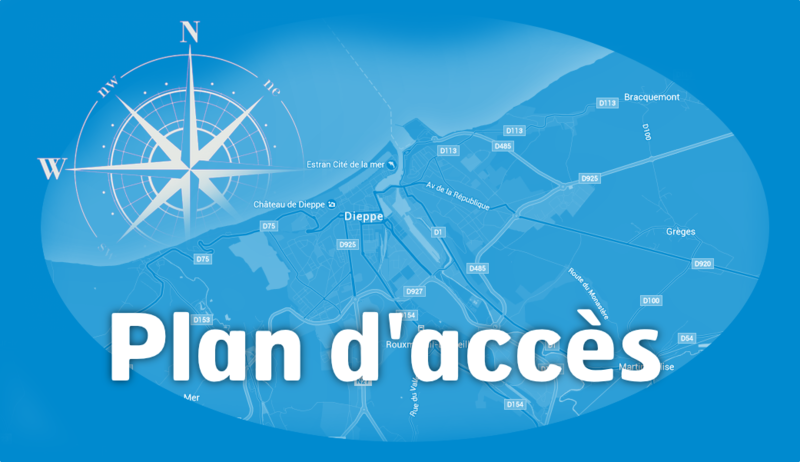 Mapping of on-going projects managed by the ‘Syndicat Mixte’ of the Channel Port of Dieppe. Replacement of Colbert Bridge: project management entrusted to SETEC in November 2014 – Explorations architecture.